A loan of $300 helped to service his vehicle. Charles is a married man and has one child. He describes himself as honest. 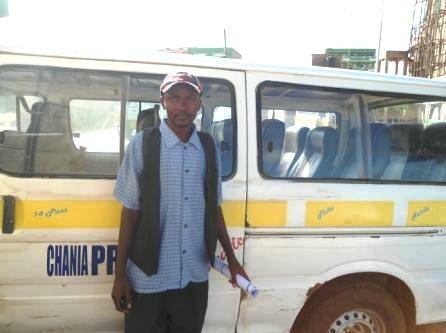 He operates a transport business, where he transports customers using his vehicle. He has been involved in this business for ten years. Charles describes his biggest business challenge to be vehicle break down. He will use the KES 30,000 loan to service his vehicle. His business goal is to have more vehicles for transport within five years. This is his fourth loan with SMEP Microfinance Bank and his previous loans were all repaid successfully. Charles will use the anticipated profits to improve his life.